What are the missing letters: M _ E _ J _ U _ _.
V M S N P. Each letter represents the first letters of the nine planets. M V E M J S U N P. Mars, Venus, Earth, . . . , Pluto. 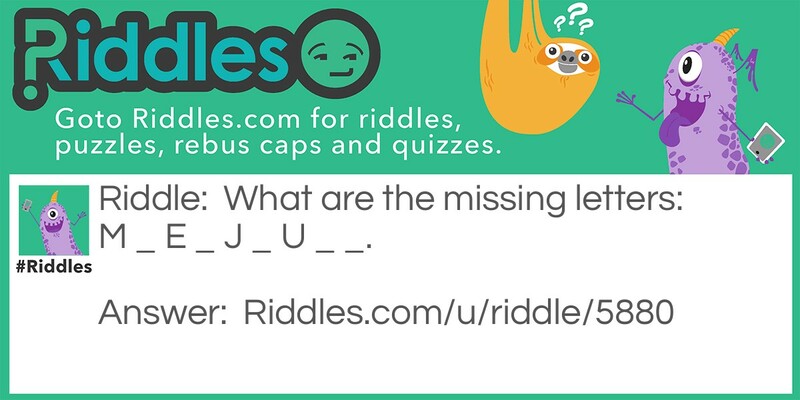 The missing letters Riddle Meme with riddle and answer page link.